Class of 2017, It's Your Time! We are looking for fun and energetic seniors to be our Class of 2017 Senior Reps. 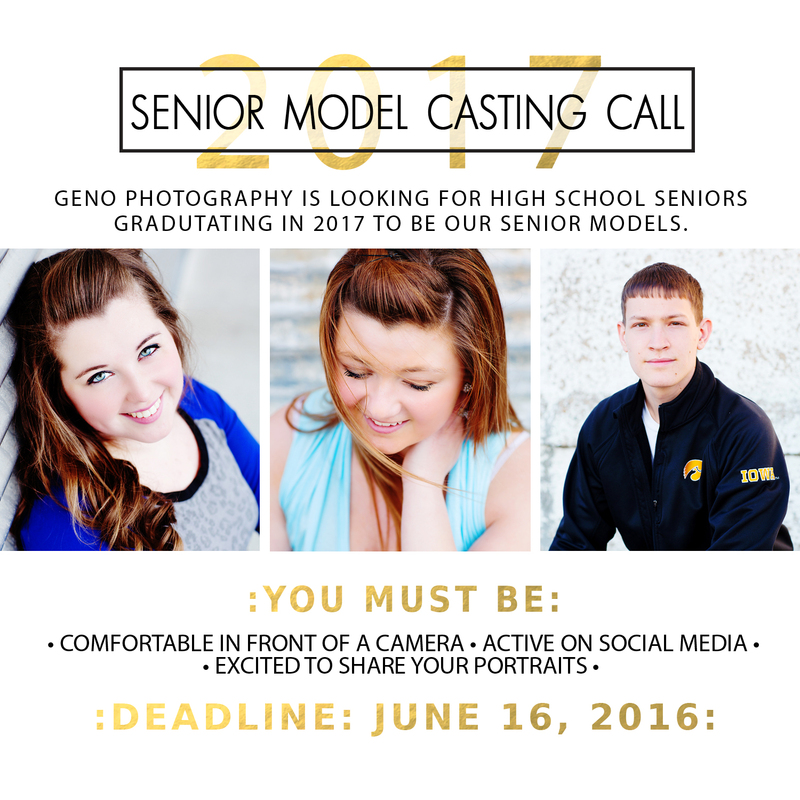 In addition to being the faces of the Class of 2017, Senior Reps get amazing discounts, bonus sessions, and a lot more! Spaces are limited, so contact us to reserve your spot today! Spaces are filling up quickly! 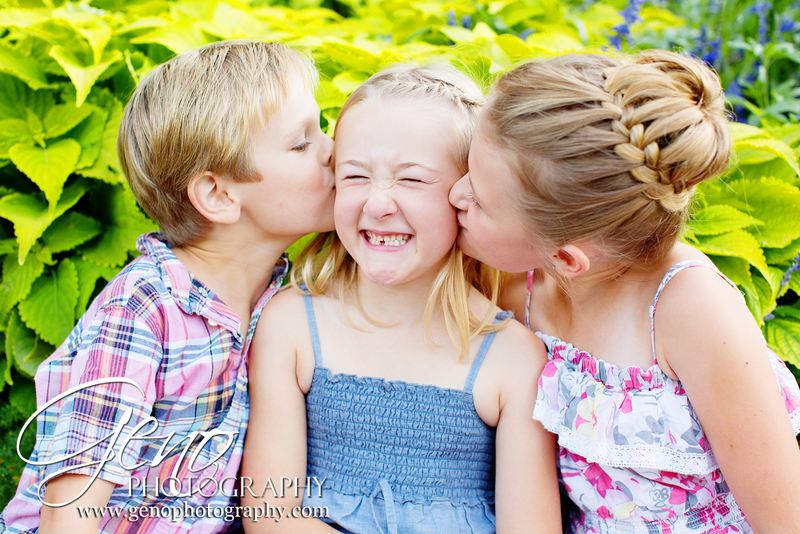 If you haven't already scheduled your mini session, contact us today. Skylar came in recently for her birthday club session. 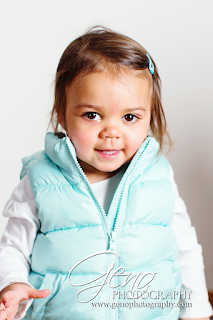 She was so excited to wear her new teal jacket for her portraits. Such a sweet smile! Last weekend I had a blast working with Dana's Dance in Kalona. 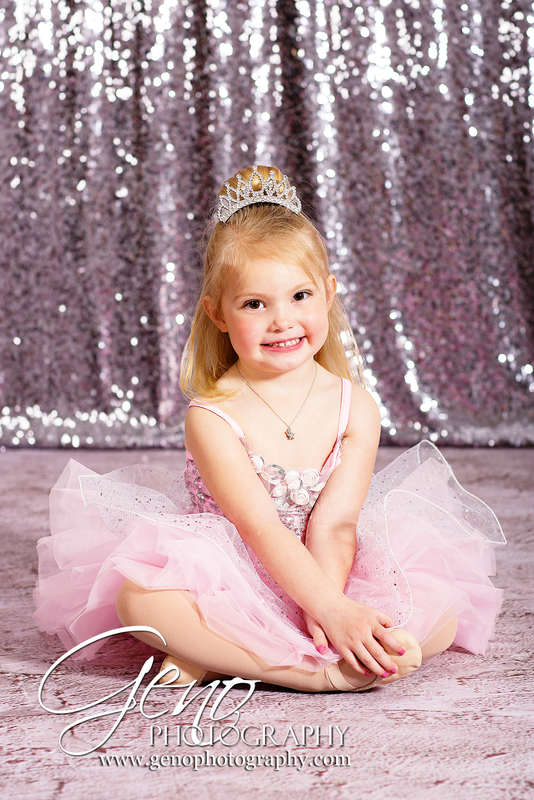 We photographed a lot of wonderful dancers, big and small. Check back soon for more from this talented group. I recently headed up to Nations Financial Group in Cedar Rapids to photograph head shots of one of their new employees. 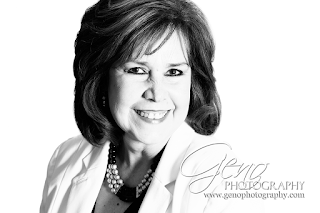 I've had the pleasure of capturing head shots for their business for the past three years. It's always fun getting to meet the new members of their group. 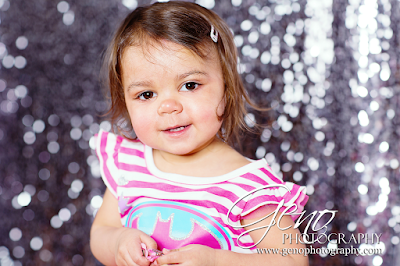 A peek at Skylar's recent Birthday Club Session. Adorable! Check back soon for more. At the end of March, I had the pleasure of having Emily and Jason in the studio for their engagement session. They were great to work with. I had a lot of fun using my new sequin backdrop during their session. The bold colors in their outfits seemed a perfect fit with the sparkles. 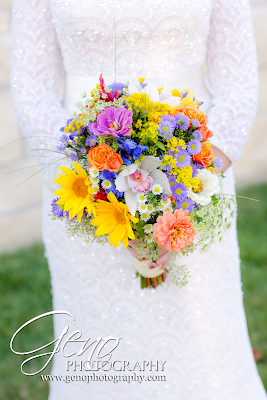 Our 2016 wedding season is in full swing, and we only have a very few dates left available. We have another great year filled with wonderful couples. We know we've said it before, but we are so blessed. We really do have the best clients ever! Our 2017 wedding calendar is beginning to fill and we are excited to be looking ahead to next year. As with each year, our availability is limited. If you are planning a 2017 wedding, be sure to schedule your consultation soon. 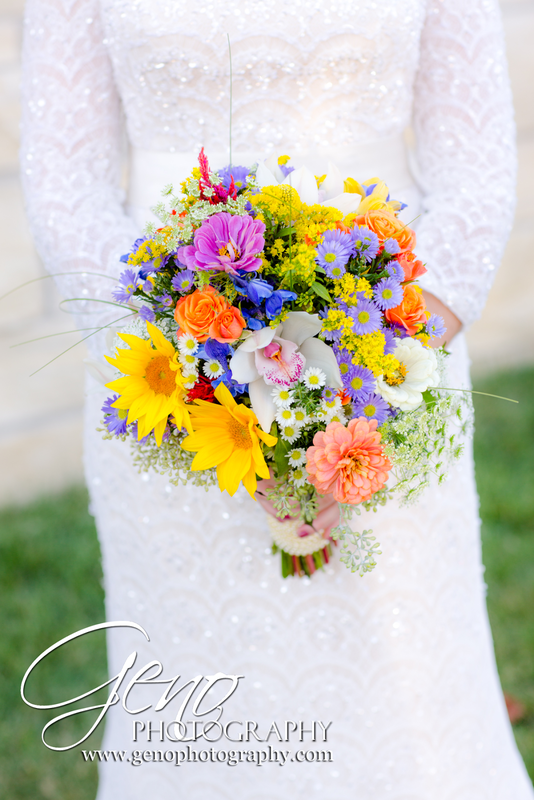 We would love the opportunity to get to know you better, hear all about the gorgeous wedding you are planning, and answer any questions you may have. Contact us online to schedule your consultation today. Did you know? We're on Instagram and Twitter! Be sure to check us out and follow us! 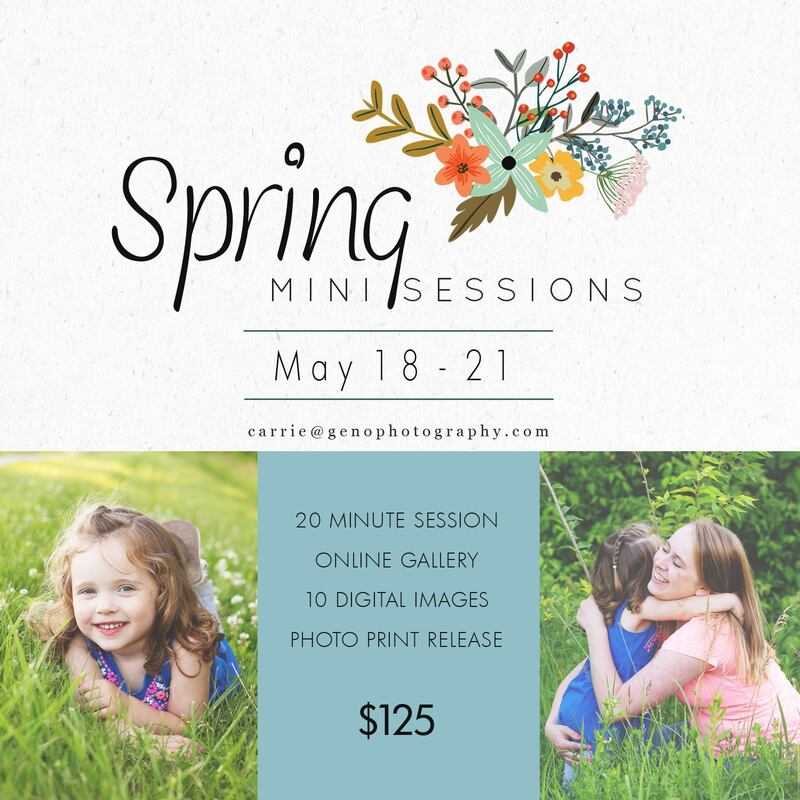 Spring Mini Sessions are Coming! The grass is getting green and the flowers are blooming. 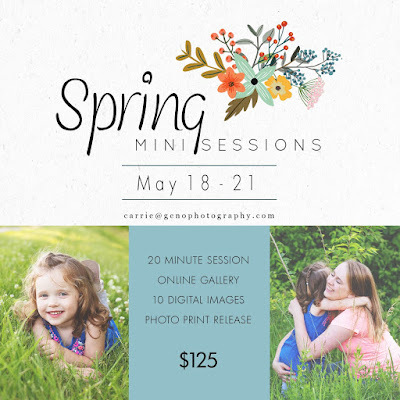 It is once again time for our Spring Mini Sessions! Be sure to contact us today to book yours. Spaces are limited and are available on a first come, first serve basis. 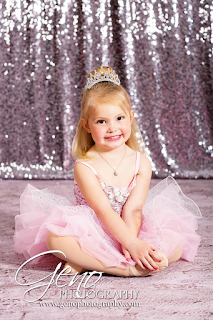 We are getting geared up to announce our 2016 Spring Mini Sessions. As we are getting prepared to announce the dates, we have also been busy creating a welcome guide for our mini sessions. It has great information about what mini sessions are, what to wear, and more. 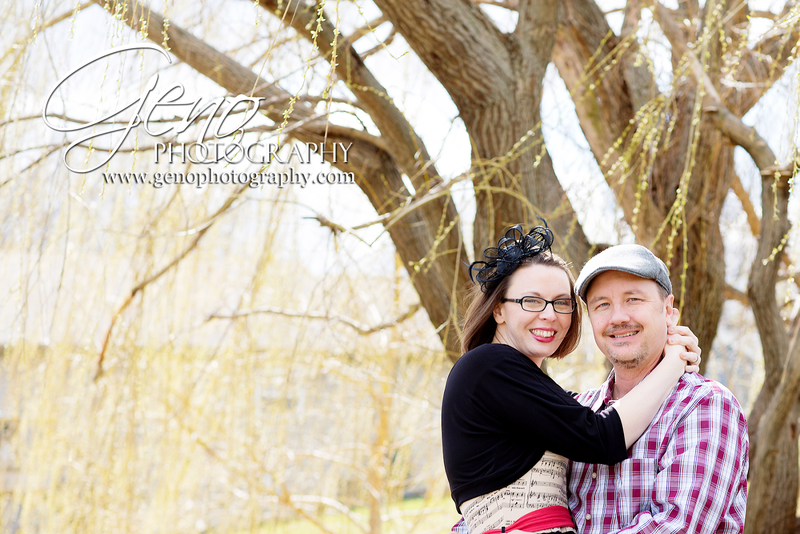 Check out our new Mini Session Welcome Guide here: http://www.genophotography.com/MiniSession.